There is a"Next" button in the end panel of each level. A Really astonishing and atmospheric game! I like the music, well done! I really like the vibe and the atmosphere of the game. Kudos for great timing with the monsters, I think they appear right on the beats, and the patterns are repeated for a couple of times allowing players to learn the pattern and know exactly where the monsters would come. There are 2 things that I find can be improved. First, better visual feedback on how good my punches are. I understand that I should be aiming for the eyes, but Im not sure where the eye is - I know it is the white dot that by itself is not very easy to spot when monsters come at high speed, but how big its hit box is? I tried the normal run multiple times and Im pretty sure I got ahead of all the monsters yet still achieved not as good score as I expected (just around 5k), so I felt like there is no way I could improve my score without knowing how big the "perfect" zone is. Second, monsters coming from the top and bottom almost allow zero reaction time because of the narrow view horizontally. This would be quickly fixed by zooming out just a touch, or at least having an option to control the camera zoom would be really nice. Overall, very fun game. 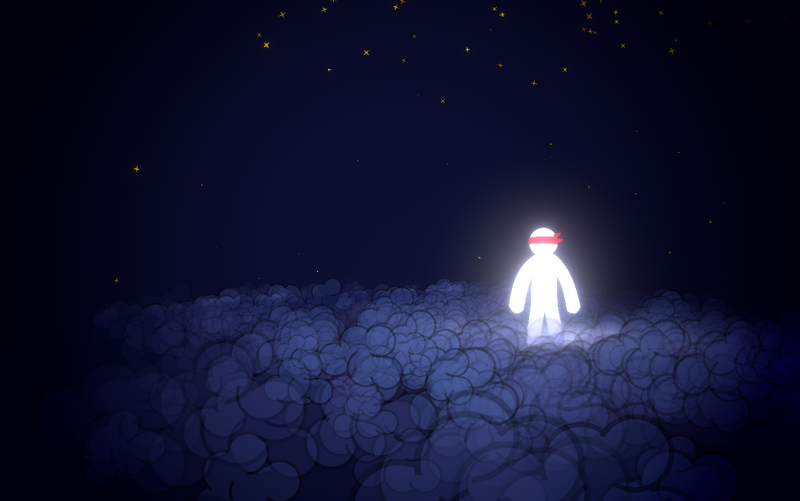 The idea has been executed very well and the game has a good amount of polish. Great work! Thank you a lot for your feedback ! I had a lot of feedback on the difficulty of vertical monsters. I'll change that in a future update. 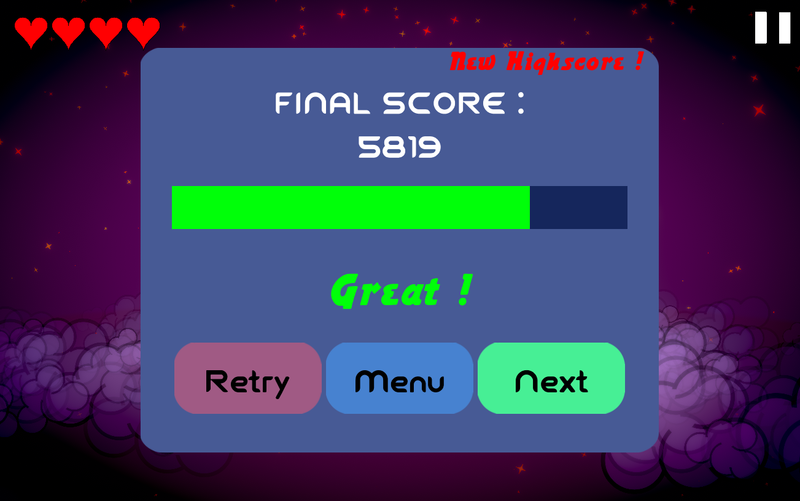 I sort of had the feeling that its impossible to achieve that score, but I turned to the easiest mode and I did achieve almost perfect score, so it was not really that impossible. 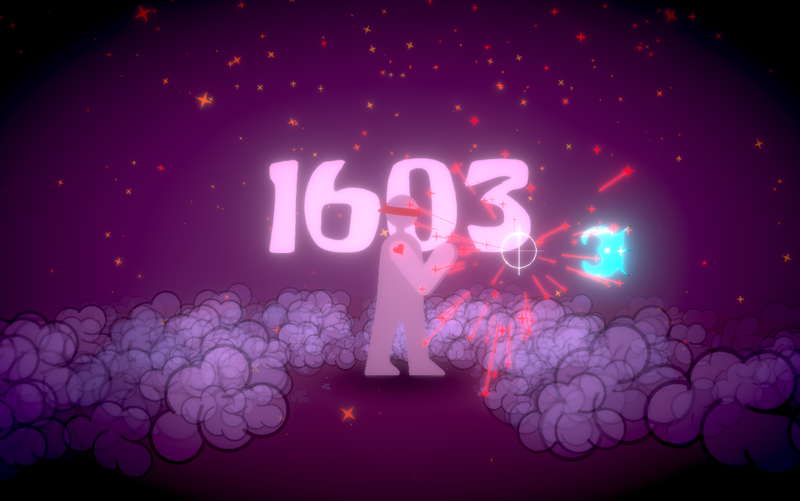 I understand that timing the eyes to be on the beats would be much harder to time the monsters, but when players feel like they have done the best and the game is not rewarding accordingly even in normal mode, it probably needs to tune down a bit. Here I suggest a very quick fix is to not use the same scale of points for final ranking the same in all modes, like in normal mode the score scale could possibly be lowered a bit, which makes sense because there is a reward for catching up with faster speed. Not use the same scale of point in all modes is a neat idea, thank you ! Alos, it may sounds weird, but I actually like the fact that getting a perfect score is impossible. My god, I have the worlds most solid sense of stability and a strong stomach but the visuals here were so dang motion sickness inducing. I was not enjoying feeling like I was swirling around the entire time... Overall, I felt it was a bit busy for a timing game. maybe ok at higher levels to have all those particles and things cluttering up the window but at easy, I think the foreground should be fairly empty. I think your little dudes fly in too abruptly most of the time. I could manage it, but there was almost 0 time to react to some of the patterns. I understand that they're the same everytime but that doesn't mean they should have too little time for a first time runthrough to be successful. You're actually the first one who tell me about a motion sickness problem, but I agree with the overdose of particle. I'll improve that in the future. Anyway, thank you very much for your comment ! Really great game! The rhythmics and feelings are excellent. I'm very bad at aiming, but I still had a lot of fun! Good job! Nice game ! 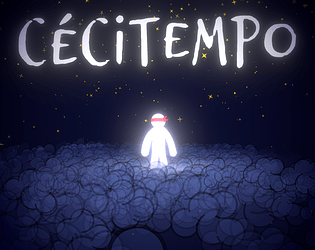 Great graphics, music and concept. The levels are hard for me (I'm very bad playing such reflex games), but I've done my best. 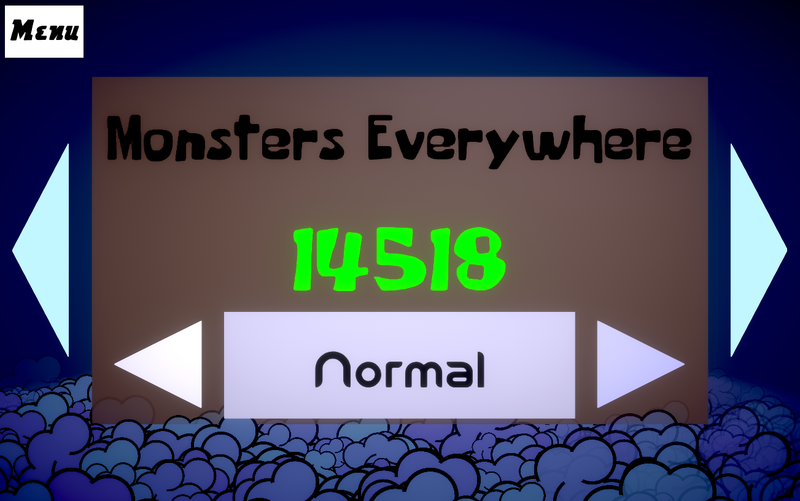 "Easy" mode is good to discover the levels before playing them in the "normal" mode. The harder modes are locked, but I'm pretty sure I'll never be able to play them. I keep your game on my hard drive, in aim to try again in these few days. Good job ! The game is really hard, it doesn't matter if you can't succeed in the harder modes. Good job ! Really awesome submission with great music and visuals. I love all the patterns on the different enemies. It's really difficult at the normal difficulty because you get a lot of fast moving monsters that are difficult to react to especially when they come from the top or bottom of the screen. 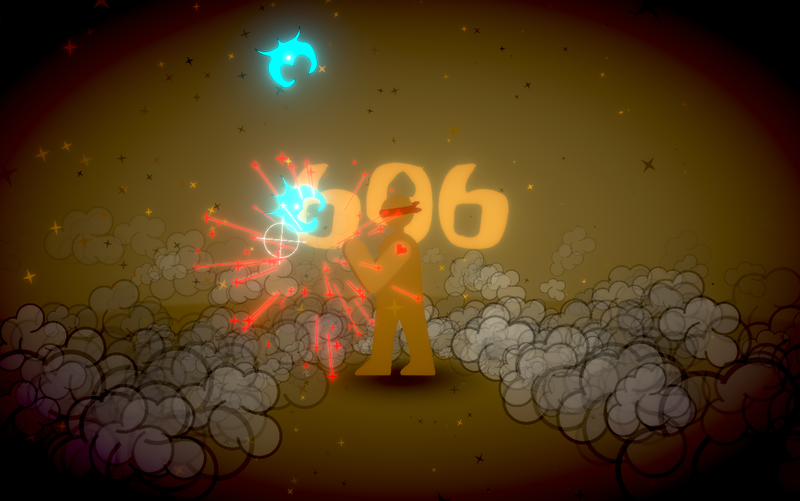 Another thing that makes it really difficult is the particles. They look really cool but the monsters often camouflage with them or the background making them really hard to see. I know the game is really difficult, but I like the fact that monsters are nearly impredictable, and you must memorize the patterns of the level. It can be frustrating, but I hope it's not TOO frustrating (and there is still the easier modes).